Have you ever wondered what it’s like to ride in a cattle trailer? Most of us probably haven’t, but Anthony Bontrager, the trucking supervisor for Country View Calves in Shipshewana, Ind., certainly has. In fact, he took a ride with a group of calves to answer that very question. To develop protocols for the eight truckers who work exclusively for Country View Calves, Bontrager wanted to experience a trailer ride firsthand. 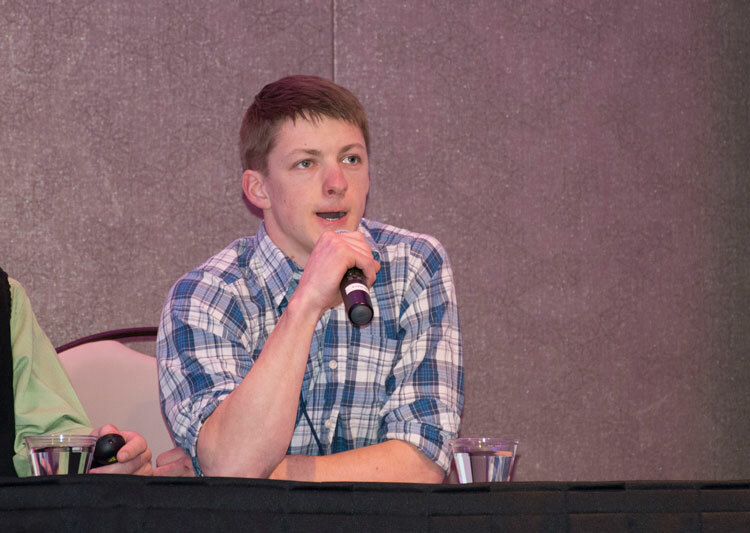 He shared his findings during a cattle trucking panel discussion at the Dairy Calf and Heifer Association’s annual meeting held in Milwaukee, Wis., earlier this month. Their calves spend between 2 and 14 hours in the trailer, so he went along on a route that was 8 hours long. He purposely picked a day that was 35 degrees outside, rainy, windy, and cold. “Every rumble strip that was hit, every pothole that was hit, I felt them firsthand,” he said. He also remarked that it was a bit louder than he expected. In addition, he picked up a head cold after the ride. Bontrager commented that he is 25 years old and got sick. That should make a person think twice about calves being hauled in those same conditions at just a few days of age. “It’s stressful, but we can eliminate some of those stressors,” he said. One action Bontrager took was to install thermometers in all their trailers. Temperature and humidity levels can be read from the truck cab. 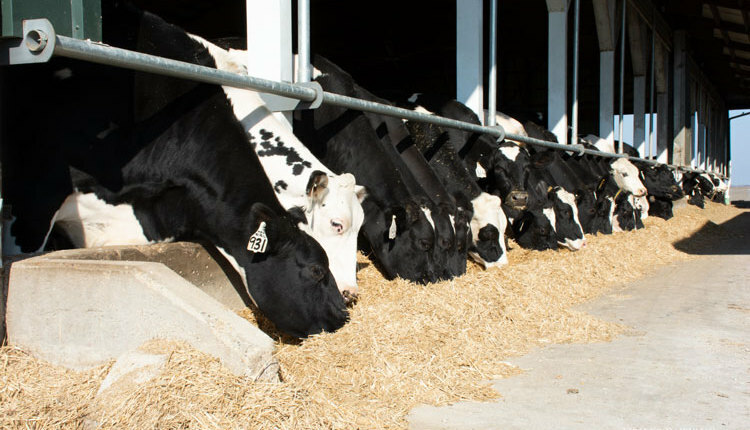 Not only is this information useful, but Bontrager said it has a dual-purpose benefit as it also initiated more conversation among owners and truckers about temperature and calf health at delivery. For bedding, Bontrager suggested a base layer of dry, dusty shavings, with a layer of medium-sized flake shavings on top of that. Cover the shavings with straw, especially in wintertime. Particularly for long distance hauls, Bontrager said this helps absorb shock and keep stress down. For additional calf comfort in hot weather, he is also contemplating the installation of fans in the trailers. Lastly, Bontrager stressed the need for open conversation between the farmer, the trucker, and the grower to maximize calf health after a long trip. “It is crucial to communicate,” he said.